The fields of study in which random fluctuations arise and cannot be ignored are as disparate and numerous as there are synonyms for the word “noise.” In the nearly two centuries following the discovery of what has come to be known as Brownian motion, named in homage to botanist Robert Brown, scientists, engineers, financial analysts, mathematicians, and literary authors have posited theories, created models, and composed literary works which have accounted for environmental noise. 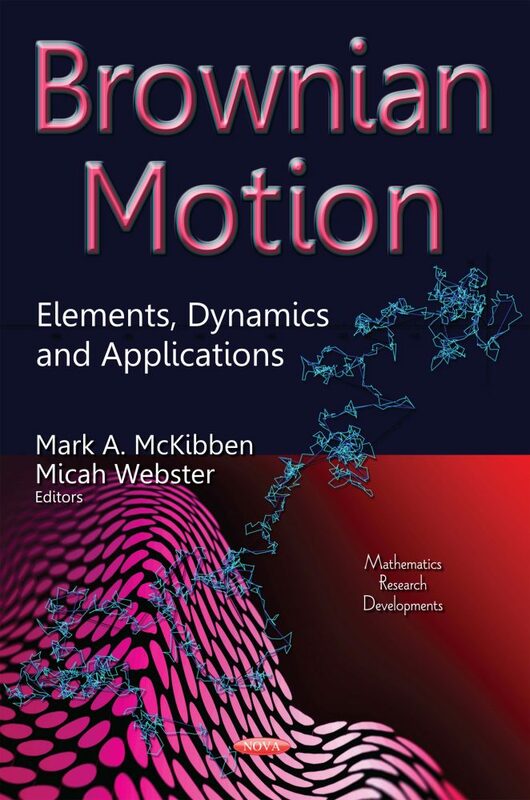 This volume offers a glimpse into the ways in which Brownian motion has crept into a myriad of fields of study through fifteen distinct chapters written by mathematicians, physicists, and other scholars. The intent is to especially highlight the vastness of scholarly work that explains various facets of Nature made possible by one scientist’s curiosity sparked by observing sporadic movement of specks of pollen under a microscope in a 19th century laboratory. Audience: Professional researchers or graduate students in the areas of stochastic analysis, mathematical physics, differential equations.